This was adapted from my Chicken & Brown Rice Recipe because noodles were sounding better at the time. 1-3 carrots (opt.) peeled and sliced about 1/4"
Insert inner pot into Instant Pot and press saute button. Wait for the machine to say "HOT". Add oil, onion and garlic. Saute for 3-4 minutes, stirring occasionally. Add remaining ingredients and close lid. Set valve to "Sealing". Cook on high for about 5 minutes (1/2 the cooking time on the package of pasta you are using). Let pressure naturally release at end of cooking time for 10 minutes. Manually release remaining pressure and remove lid. Stir and serve. Thick, hearty and flavorful. 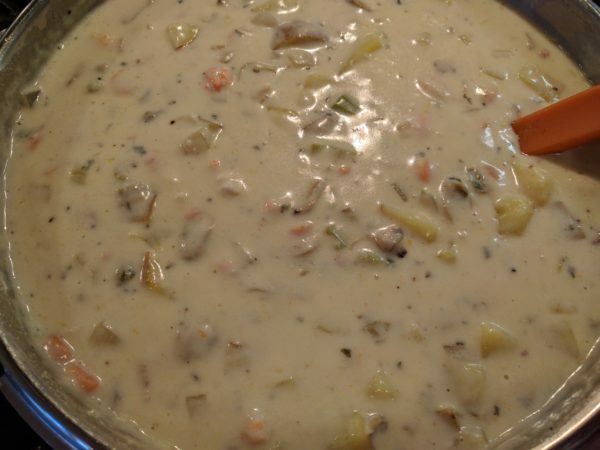 You can substitute other kinds of seafood and make it into a seafood chowder if you prefer. 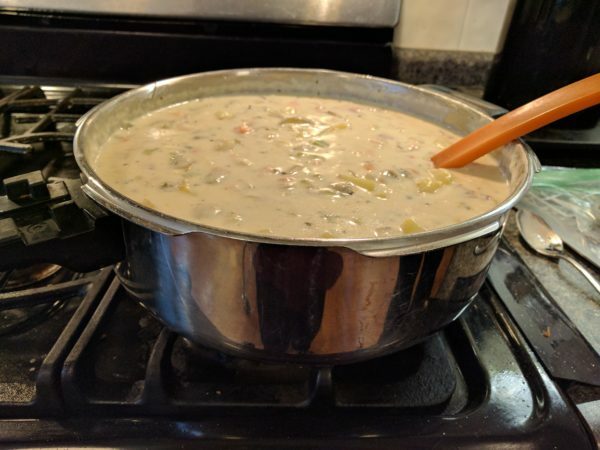 I added shrimp and lobster in place of some of the clams in the 2 photos of the chowder in the pan. Using at least a 4 qt. saucepan, add onion, fennel, carrots, parsley, butter and bacon to pan. 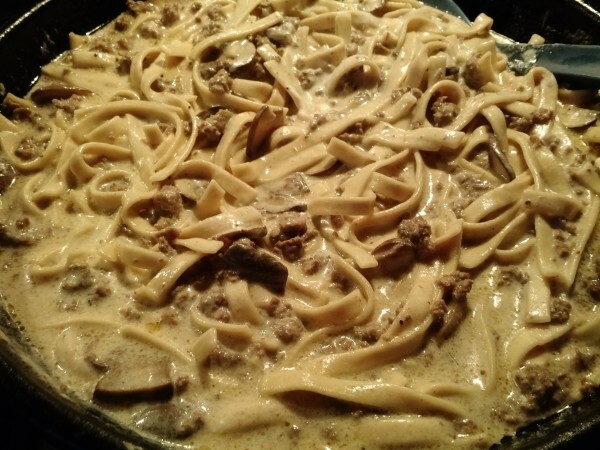 (The photo is of a 4 quart pan with this recipe.) Cover pan and cook on medium heat until veggies are cooked down, for about 15 minutes. In the meantime, boil potatoes in a separate covered pan for about 10 minutes or until slightly tender. When potatoes are tender, drain and set aside. Add cayenne pepper, white pepper, black pepper, salt and chicken base to the veggie mixture. Add heavy whipping cream, and milk, and allow to come to a boil. Drain clams and reserve 3/4 cup clam juice. Set clams aside. Combine reserved clam juice and cornstarch. Add to veggie mixture once it comes to a boil. Stir and cook over medium heat to thicken. Remove from heat and add clams and potatoes. Taste and add additional seasoning if needed. Serve. 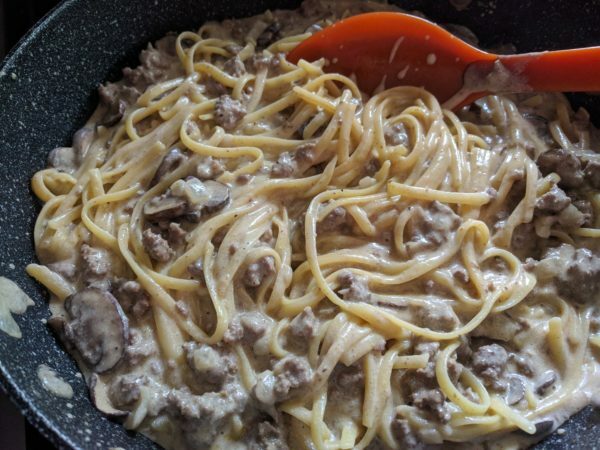 I have had this recipe for many years and have no idea where it came from, but it is fantastic! Make a white sauce with butter, cornstarch and milk. Add 8 oz. cheese. Stir until melted. In 1 1/2 qt. 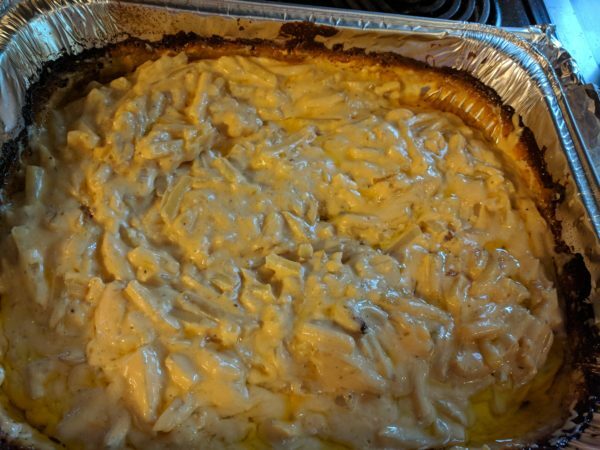 casserole, combine macaroni and cheese sauce. Top with remaining 2 oz. cheese. Bake at 350 for 25 minutes. Creamy goodness combined with the chewiness of wild rice and the tang of Asiago. Place 2 cups of water on stove to begin boiling to cook rice. When it boils, add the rice and reduce heat. Simmer for 50 minutes. If there is any water remaining in the pan after it is cooked, drain it. Meanwhile, cook chicken in skillet. (You will probably want to add some oil to the pan.) While those are cooking, dice fennel (or celery) and onion. Remove chicken from pan when just done. Add butter to skillet and cook fennel (or celery) and onion just until tender-crisp. Combine water and cornstarch and add to fennel and onion mixture. Add soup base, salt, pepper, and milk. 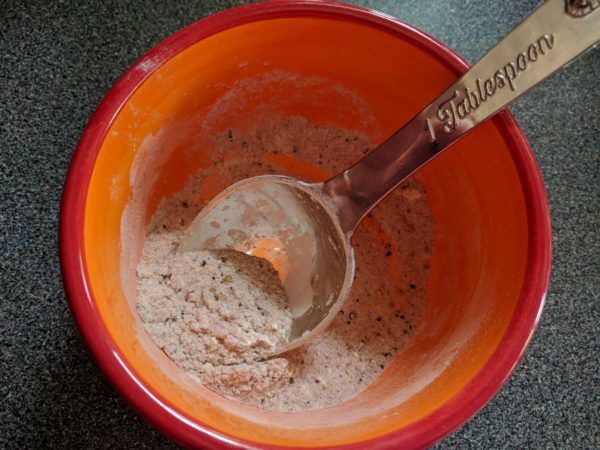 Stir often over medium to medium-high heat until it is thickened as you desire. Add rice and chicken to soup. Add Asiago cheese and stir in, or you can use as a garnish. Ladle into serving bowls and top with cilantro, if desired. 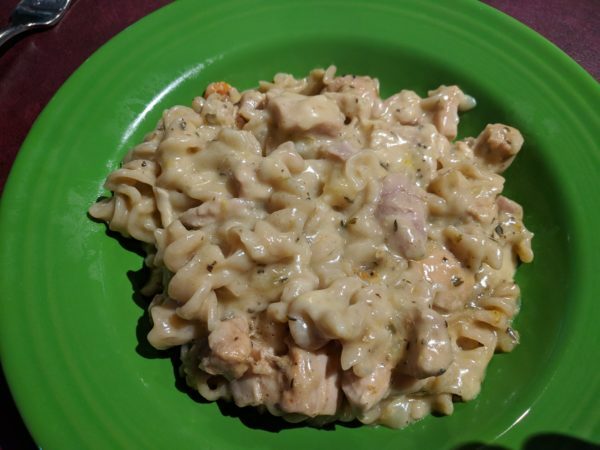 Chicken tenderloins, dredged in flour and browned, topped with sauteed onions and mushrooms, then covered with a Marsala and chicken broth sauce, and a blend of mozzarella, Parmesan and Asiago cheeses melted on top. What’s not to love about this?! Melt 1/2 stick of butter in large cast iron skillet (mine is 11 1/2"). Dredge chicken pieces in flour and season to taste with salt and pepper. Cook chicken in batches over medium heat, about 4 minutes per side or until golden brown, adding additional butter as needed. Meanwhile, in another cast iron skillet (mine is 10"), melt 1/2 stick of butter. Cook onion until just starting to brown nicely, then add mushrooms and cook for 3-5 minutes more until just tender. Remove from pan; set aside. 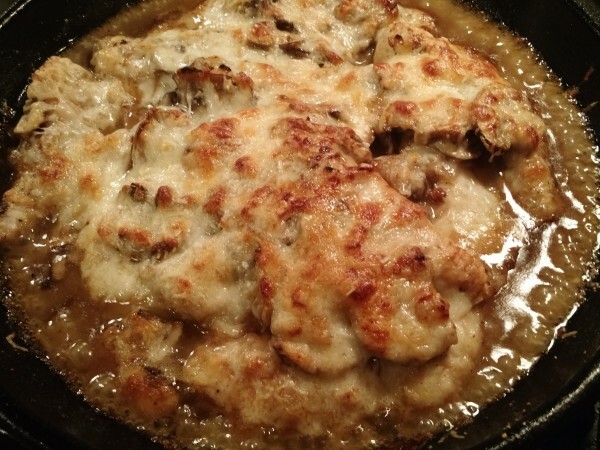 In the mushroom and onion pan, combine the Marsala, water, chicken base and cornstarch. Whisk to make sure there are no lumps. Bring to a boil, reduce heat, and simmer, uncovered, 10 minutes, stirring occasionally. It should start to thicken. Put all cooked chicken in large cast iron skillet. 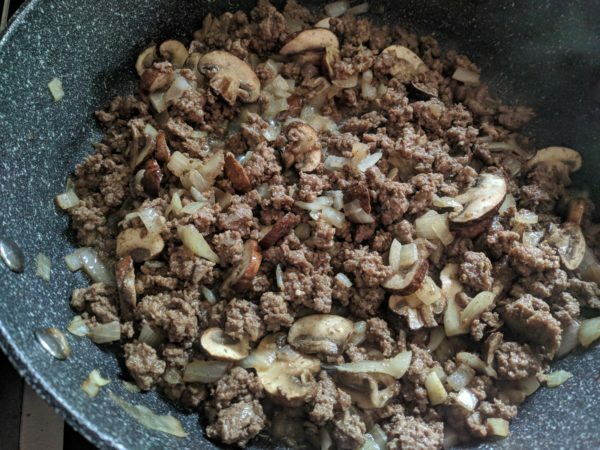 Top with mushrooms and onions. Pour cooked Marsala sauce over top. Top with combination of cheeses. Bake, uncovered, at 450 degrees for 12-15 minutes, until cheese melts. The best Cheesy Potatoes I have tried. These are made without the use of commercial canned soups and are completely gluten free. This makes a ceramic lasagna pan full. If you want to use a 1/2 size foil pan, make about 3/4 of the batch. 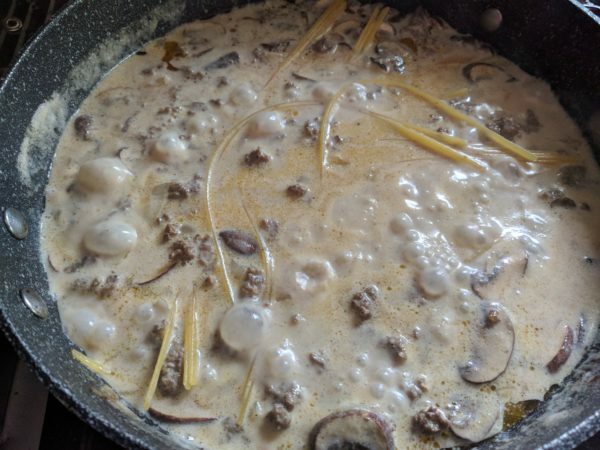 Grease a lasagna pan. Saute onion in butter in 4 qt. pan. Add salt and pepper as it is cooking. Add milk and chicken broth and bring to a simmer. Combine heavy cream and cornstarch. Add to pan and stir until it is blended. It should begin thickening very quickly. Turn off heat and add sour cream and cheese. Spread potatoes in greased lasagna pan. Pour milk sauce over potatoes. Cover with foil and bake at 375 for 2 hours or more. Let set for 15 minutes or so and stir before serving. For the chicken broth, I use about 2 tsp. Better than Bouillon Organic Chicken Base and add water to make 1 cup. 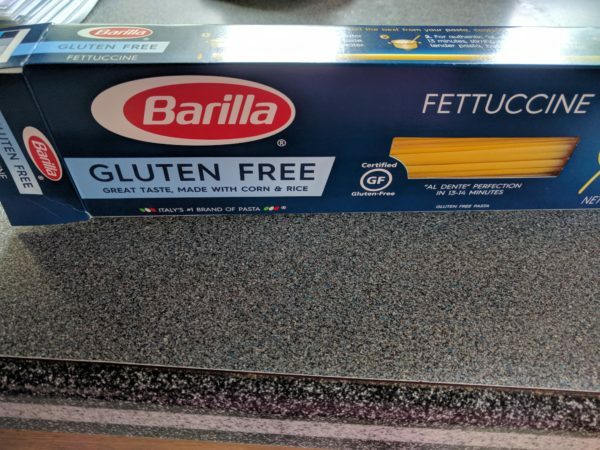 This ensures that the recipe remains gluten-free and soy-free.